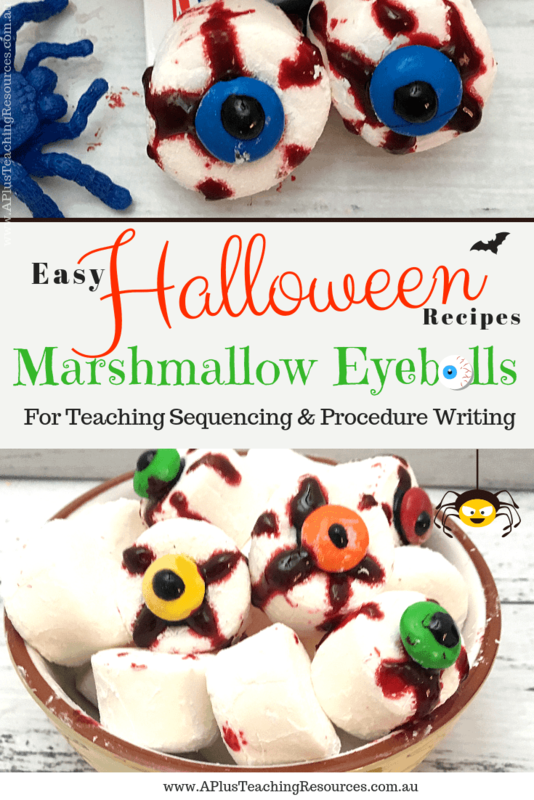 Spooky Marshmallow Eyeballs are one of our favourite Easy Halloween Recipes! 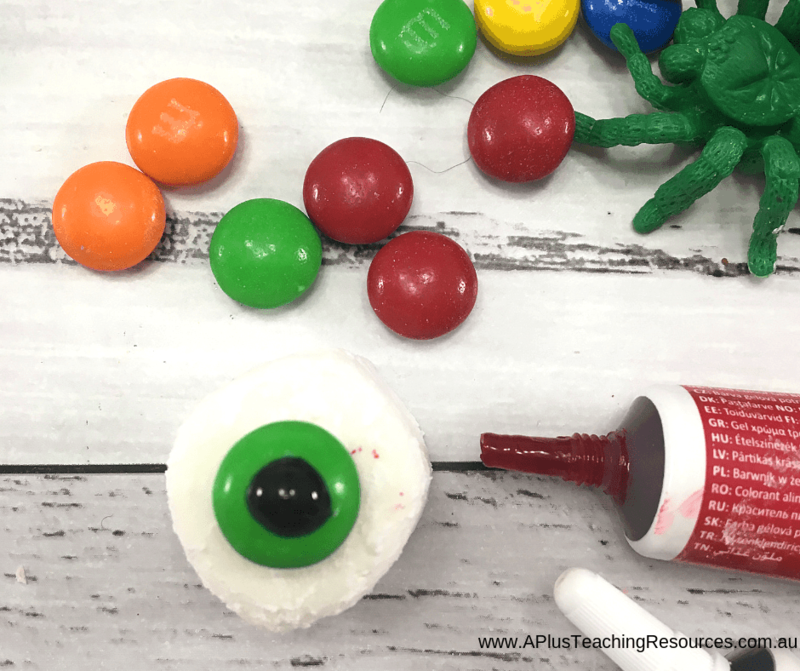 Your kids will love making this fun goggly eye Happy Halloween Recipe. 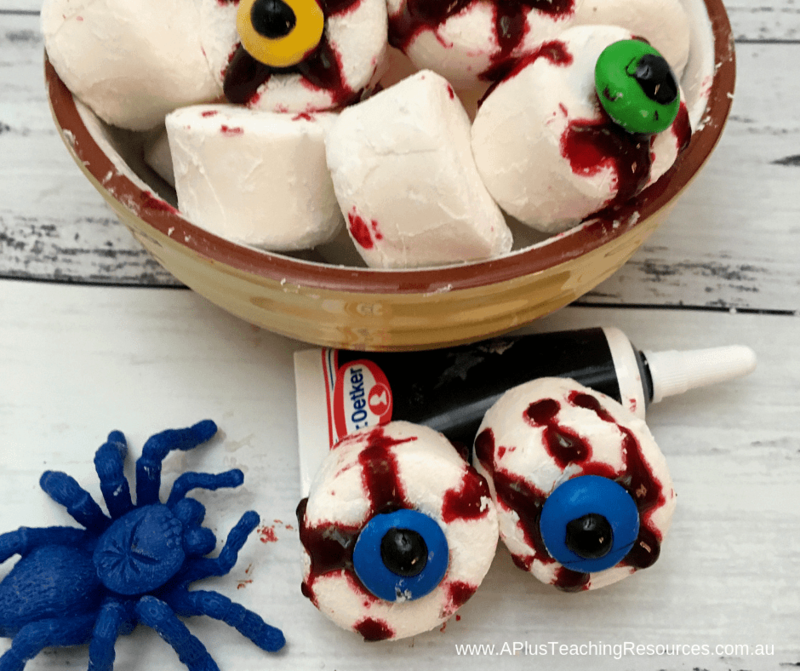 Our marshmallow eyeballs are a spooky halloween treat that your kids will totally love! 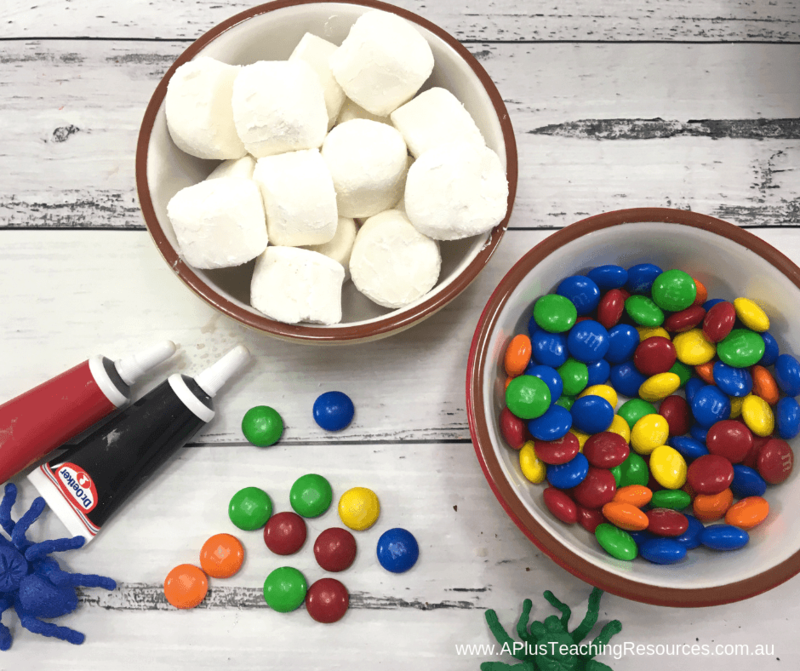 This easy Halloween recipe is also just perfect for introducing simple sequencing and procedure writing to Kindergarten and Preschool kids. 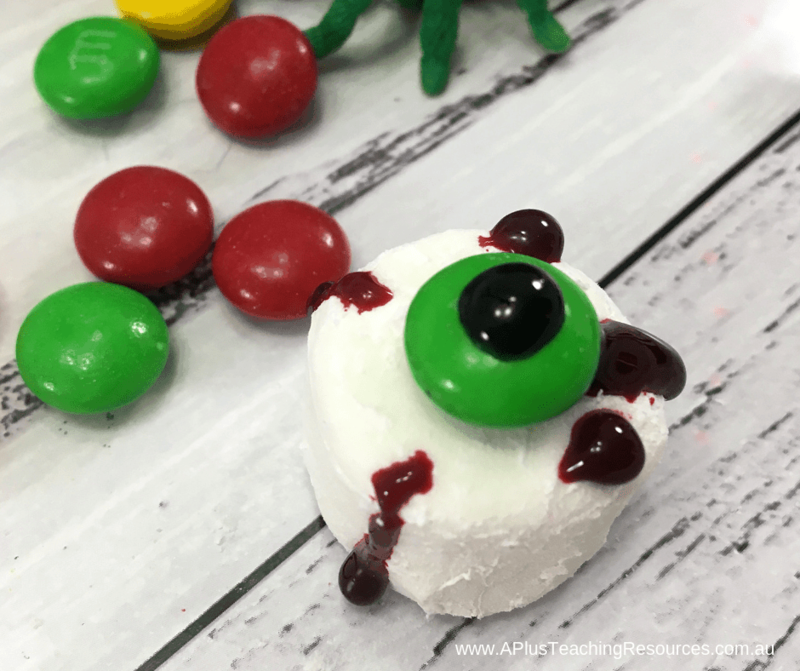 With just 3 ingredients and NO COOKING marshmallow eyeballs are an excellent classroom cooking activity. Make these fun spooky treats this Halloween and try them with our FREE pumpkin number tracing cards! 2. Place m&m on top of the icing gel. Next dab a small spot of the black gel icing in the middle of the m&m to make a pupil. 3. Finally add the red icing gel for a blood shot effect! 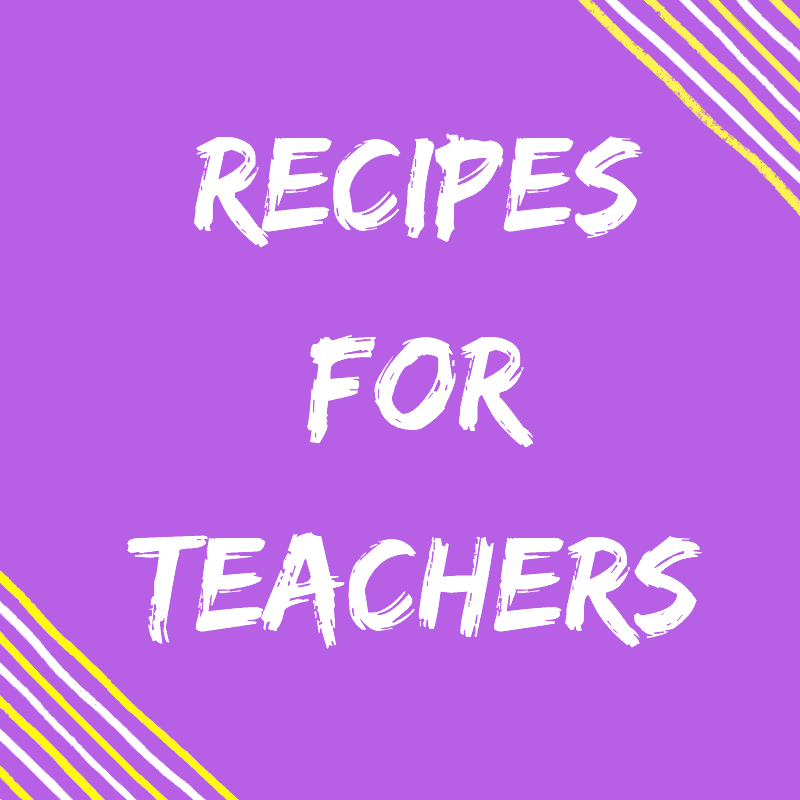 Enjoy this stress free classroom cooking activity with your little learners this Halloween! 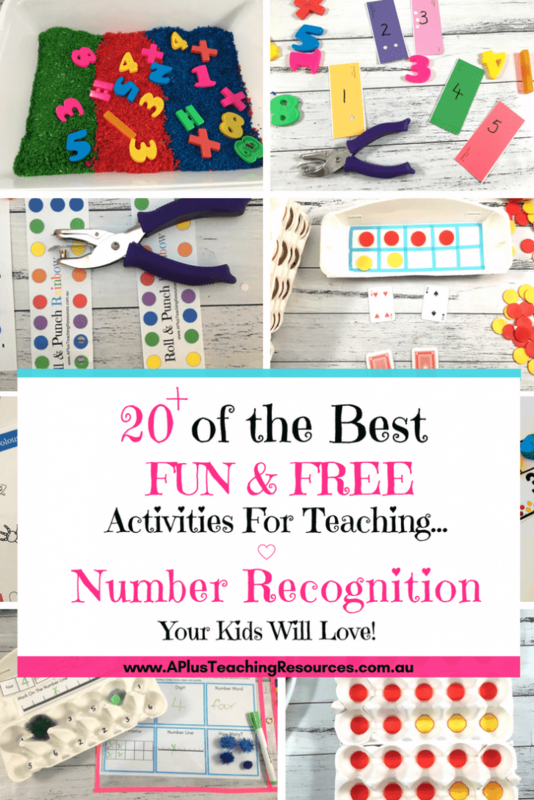 Check out our Halloween themed printables for teaching number recognition! Download this cute Pumpkin tracing Number Recognition activity for FREE! 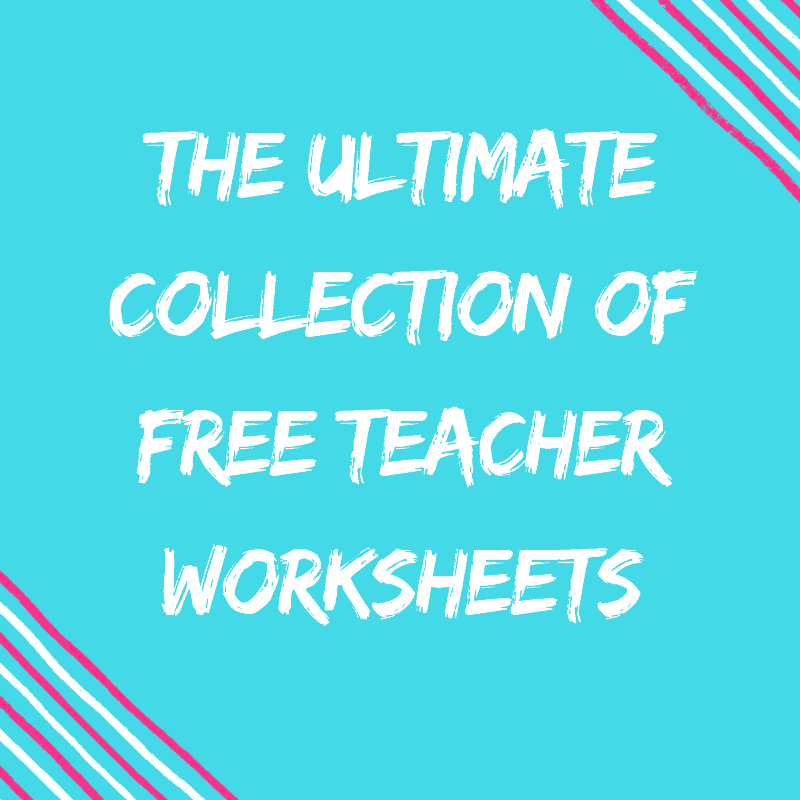 Click the image to get your Freebie! 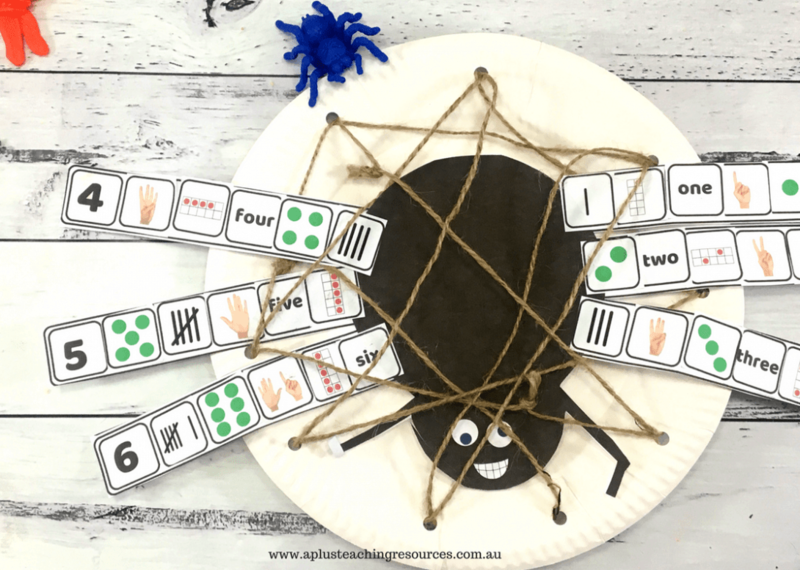 Don’t miss these Incy Wincy Spider Printable Number games! 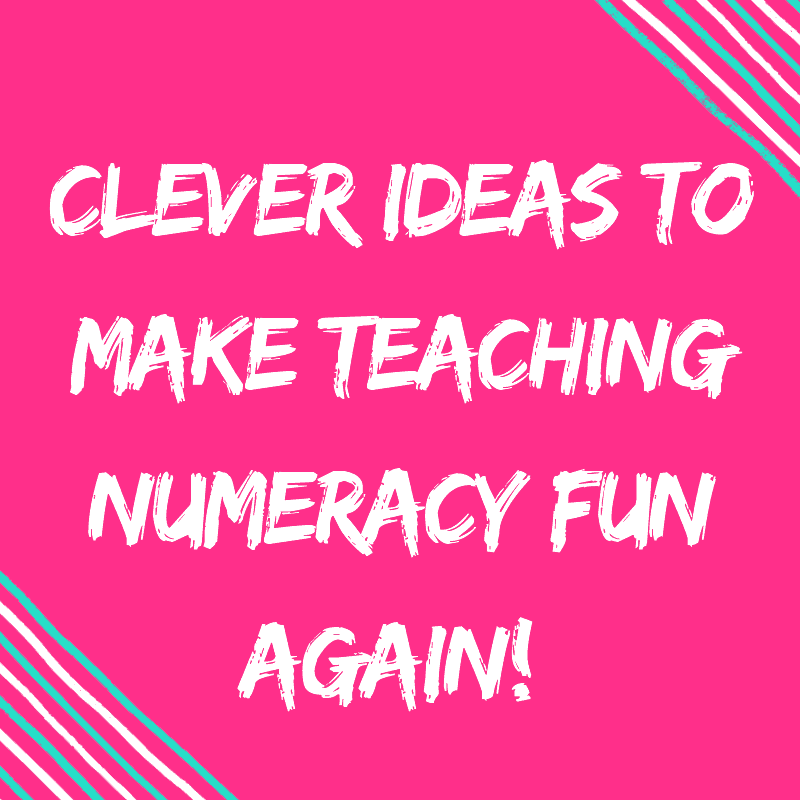 They are too cute for teaching number recognition! 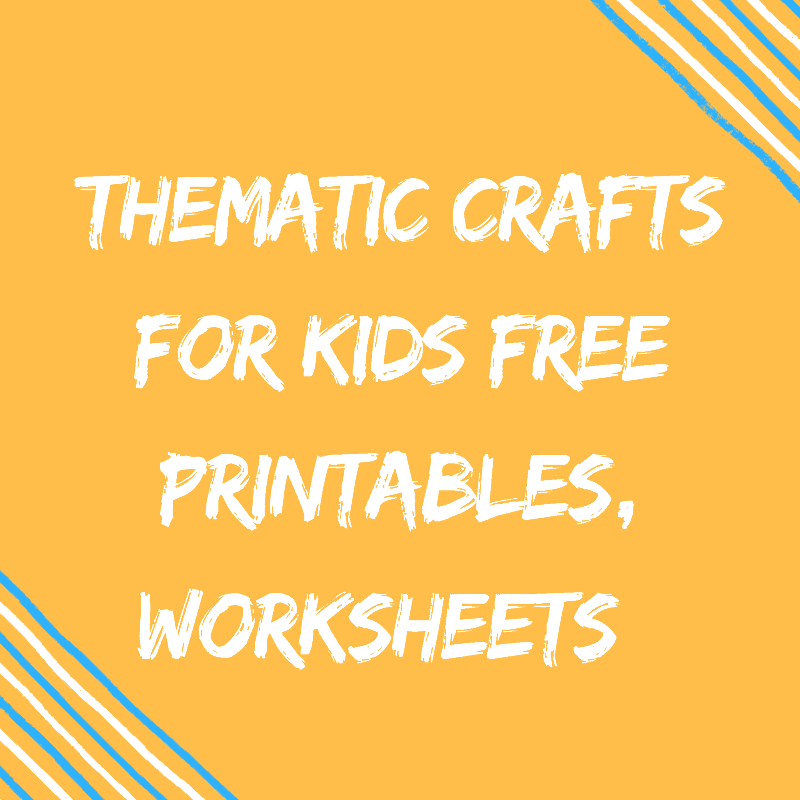 Click the image to see how to make it! 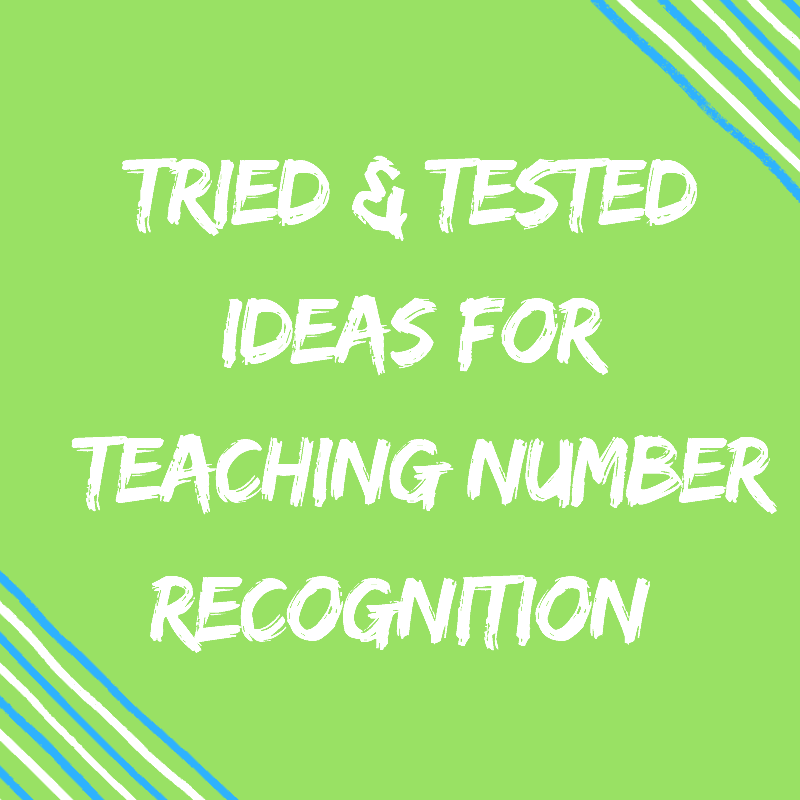 For more Ideas, Resources & Freebies For Teaching Number Recognition Click the image below. Place a dab of the gel icing in the center of each white marshmallow. Place an M&M on top of the icing. Add a dab of black icing in the center of each M&M to make the pupil of the eye. 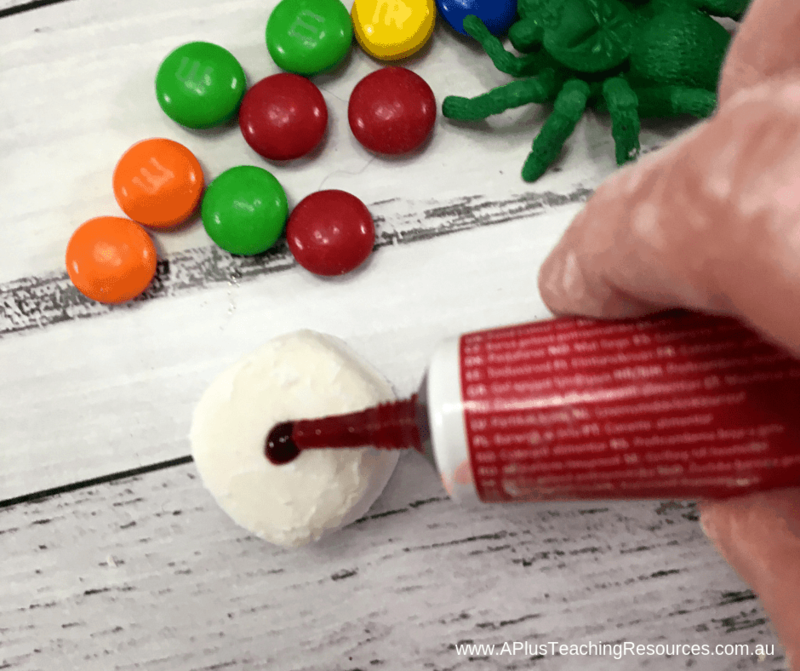 Use the red gel icing on the marshmallow to create a blood shot effect. We used gel icing to make it easier to stick the M&M's onto the marshmallow. They also kept the mess down. Here's our affiliate link if you can't find them locally. 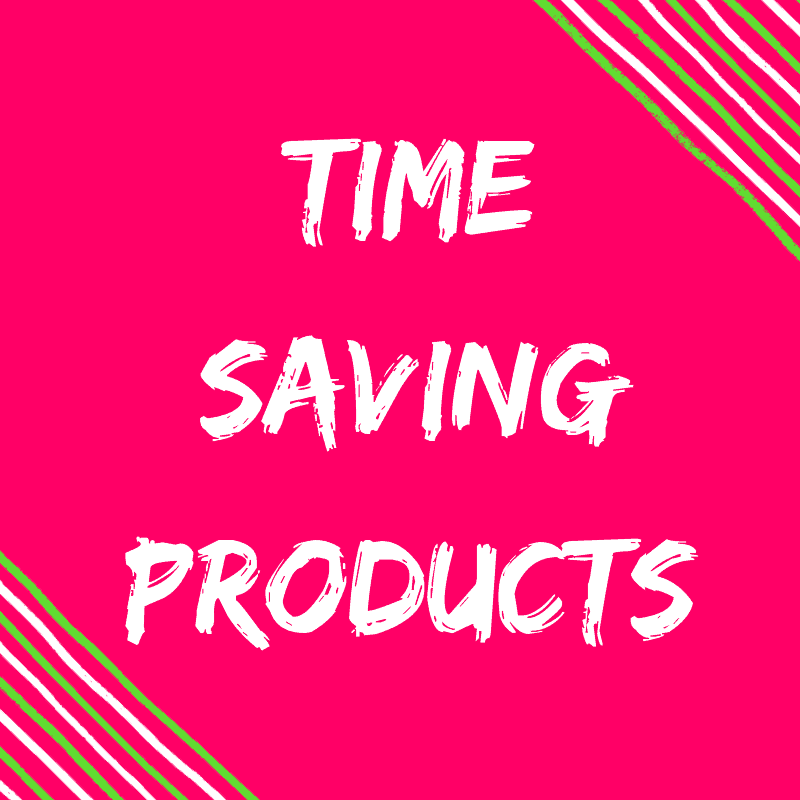 We recieve a small commission if you use our links at no extra cost to you. Thanks for supporting us! 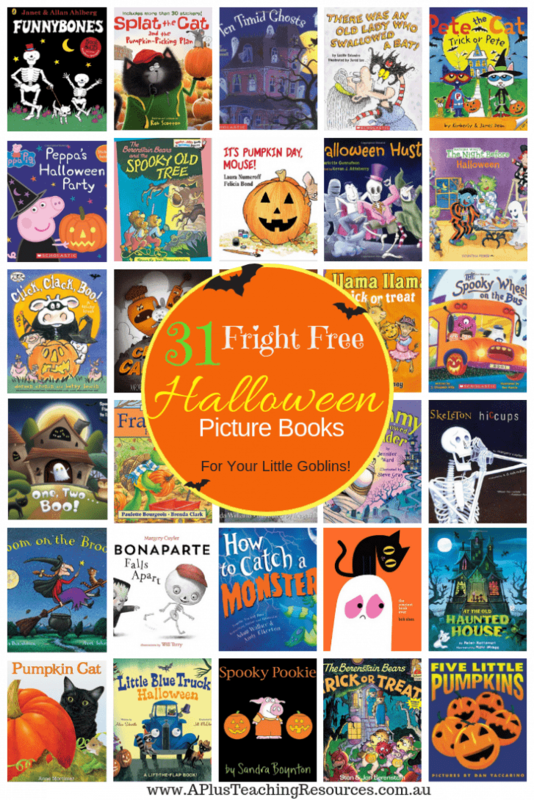 Previous post: 31 Fright Free Halloween Picture Books For Little Goblins! 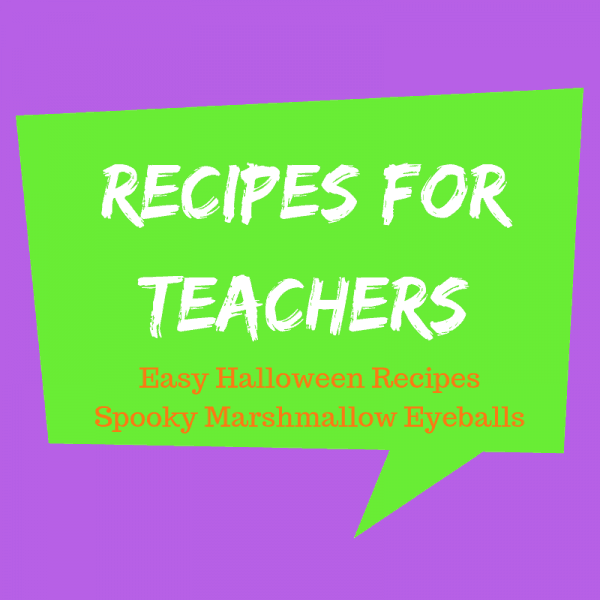 Next post: Fun Halloween Classroom Activities Make Learning A TREAT!